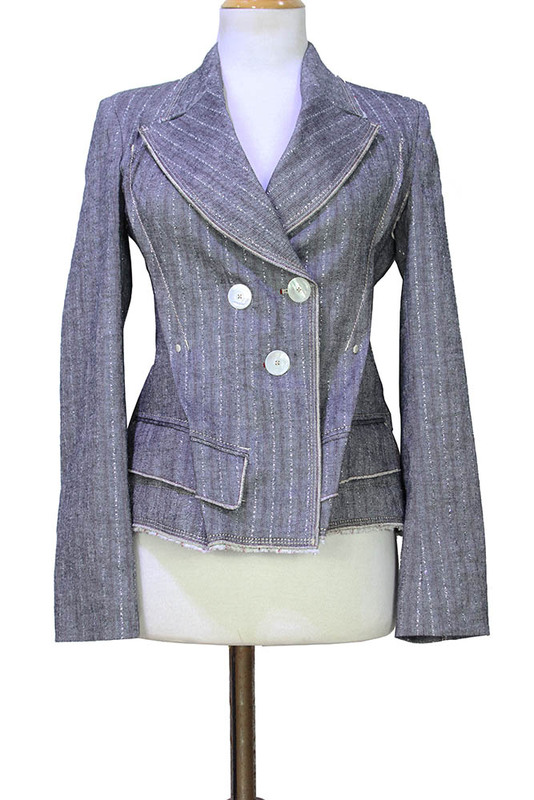 High 'Sentiment' jacket in pale grey, burgundy and silver metallic, linen and cotton and hemp herringbone stripe. Double-breasted style, with 3 large, mother of pearl buttons. 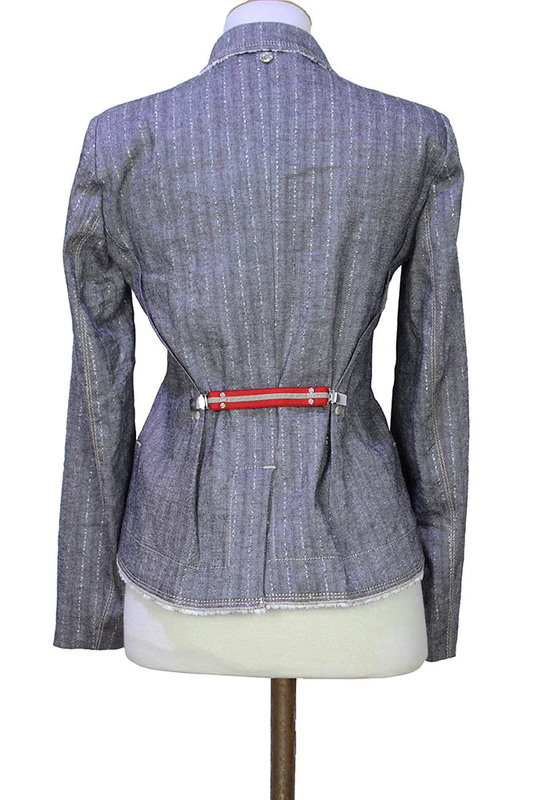 Large notched lapels with trim details. Folded fabric pleats at each side of front. 2 wide, angled pockets with flaps and trim details. At the hem there are 2 layers, one with stitch trim and the other with short white fringe. Crystal at rear neck. Pleats at rear, with removable elasticated half-belt. Single vent at rear. Seams inside include taped french seams in red. 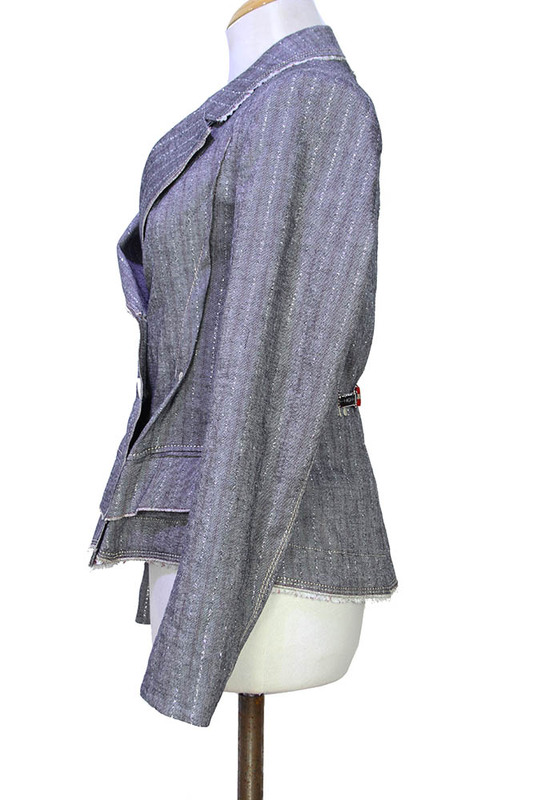 A beautifully conceived and tailored jacket.